Colorado Springs Switchbacks FC defeat Sacramento Republic FC 1-0 behind a 36th minute goal from Kevaughn Frater and a stout defensive performance. The match began with both teams feeling each other out, but Colorado Springs Switchbacks FC, who needed a win or tie to keep their playoff hopes alive, pushed to find an early goal. Despite the early pressure by the Switchbacks, it was Republic FC who would see the best early chance in the 27th minute. Midfielder Villyan Bijev attacked through the middle of the field, reaching the top of the box before laying the ball wide to the left where Wilson Kneeshaw was making a run. Kneeshaw attempted a right-footed shot, but a diving Switchbacks defender was there just in the nick of time to knock the ball out for a corner. The Switchbacks pressure would break through in the 36th minute on a play that started down the left side. Defender Josh Suggs drove the ball down the side before cutting the ball back and sending a cross toward the back post. Midfielder Kevaughn Frater chested the ball down and took a quick touch before firing a low shot past the defense and into the back post to put the Switchbacks ahead 1-0 going into the half. Looking to increase their lead, the Switchbacks would continue the attack early in the second half. In the 53rd minute they had their best chance on a corner by Masta Kacher. The midfielder’s looping pass went into the middle of the box where it was popped straight up in the air. Frater tried to knock the ball toward the net, but it was punched out by Newton instead, but only as far as Shawn Chin who chested the ball down before hitting a long shot from around 30-yards out. The ball started going toward the upper right corner but bent high and wide right, keeping the score 1-0. The Switchbacks almost doubled their lead again in the 76th minute. The ball went long where both Akwafei Ajeakwa and Frater had beat the defense. 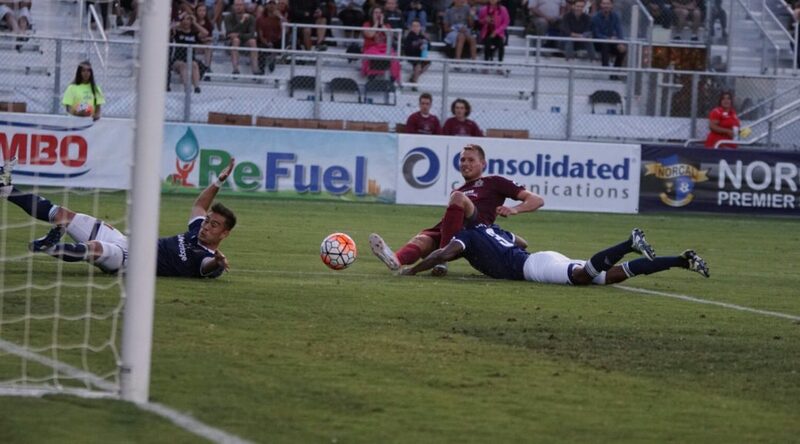 Frater brought the long ball down in a one-on-one with Newton and attempted to chip the Republic FC keeper, but Newton was quick to leap in the air and snag the ball to keep Republic FC in the match. 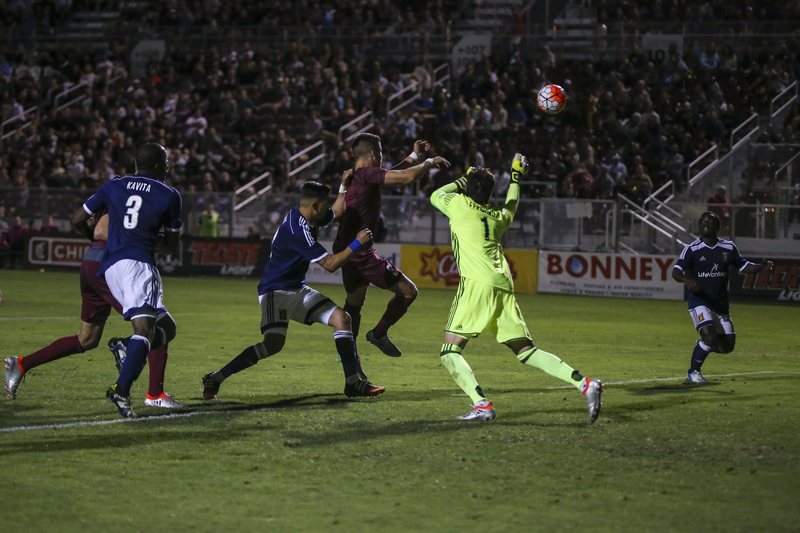 Republic FC had their best chance of the half a minute into stoppage time. Kiffe’s corner went to the far post where Jeremy Hall jumped high to head the ball back into the middle. Villyan Bijev made a run to that spot and was able to snap a header toward the goal, but Dan Jackson was quick to dive and make the save. Republic FC will finish their three-match road trip when they travel to face Reno 1868 FC on Saturday, Oct. 14. With a win or a tie in that match Republic FC will clinch their fourth straight playoff appearance. Republic FC would also clinch a playoff spot with a loss or a draw tonight by Orange County SC. Kickoff for the match against Reno 1868 FC is 7:30 p.m. at Greater Nevada Field. The match will be streamed live at SacRepublicFC.com/matchday-guide.